This week I was able to get Mari Smith to join us to discuss “The New Relationship Marketing.” Mari has taught tens of thousands of people (like me) how to use social media marketing effectively. And a whole bunch of other cool stuff when Mari and I get together to chat about what’s working online. How would you like to win a copy of Mari Smith‘s new book? Real Tech guy……I would get to the point quicker………..to much fluff…….very time consuming…….. Thanks for the advice – it’s duly noted. Wow. I couldn’t agree more with the “RUBBISH” comment about eMail being dead! Nicely said, Mari! Wonderful interview with two inspirational people! Great job, Jon! 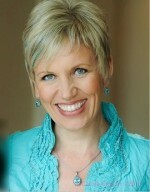 @MariSmith is a lot of fun. She’s always so eager to share her knowledge – and I think this interview really exposed a little more of the “internet marketer” side of her. Thanks for tuning in Suzanne and big thanks for the share and comment – you ROCK! Wow! Awesome interview Jonathan! Relationship Marketing – this is what we do! Really appreciate the spiritual, “leading with emotional intelligence” and “leaving the ego behind” message from Mari! Using the social tools to connect and helping us realize ‘we matter’…All my best relationships and insights have been discovered through SM! Thanks to both of you! No doubt @MariSmith:twitter brought her A-Game on this interview for #RTGRadio. I was so thrilled when she brought up the whole ego thing – it really hit home with me. You’re such an inspiration! You have much to teach us about internet marketing and driving traffic! We need to meet IRL! Wow, I feel grateful the time has finally come that our SM crowd is now thinking about internet marketing. Learn how to use internet marketing to make more sales online.